“Loe Lee Library” is series of murals inspired by renown stories. My goal is find a book from that begins with every letter of the alphabet (A-Z, 0-9) and extract a significant quote or lesson from those stories to create inspirational spaces. This quote is from one of my favorite books, "The Alchemist," which is also the mantra I used to pursue my passion for illustration and hand-lettering. 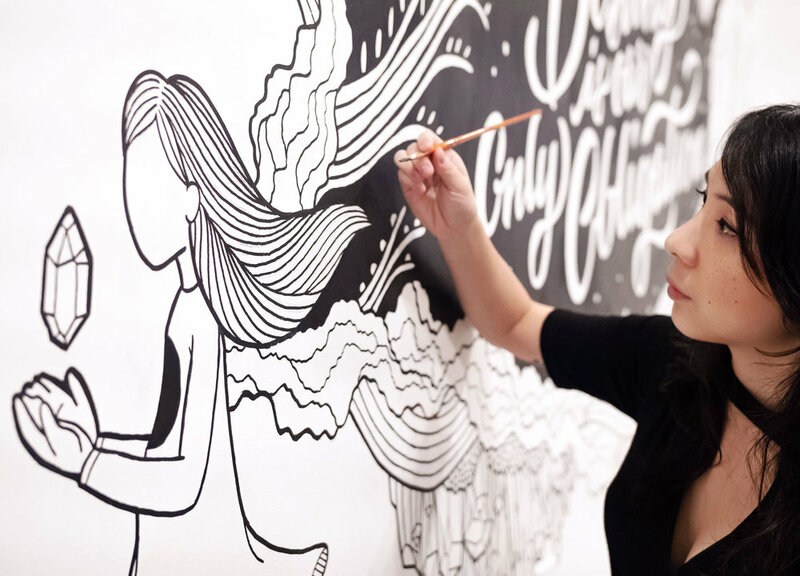 The entire process included sketching out both the lettering and illustration, rendering it digitally on Procreate, and finally putting the artwork onto the wall. “The Alchemist” mural is over 100 sq. feet.